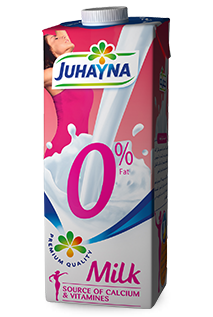 Our zero milk is produced with 0% fat. It is the ultimate choice for those looking to minimize their fat intake while maintaining a rich supply of vitamins to ensure a healthy lifestyle. It is available in 1 liter packaging only. There are no added preservatives, and all of our milk products should be kept refrigerated once opened. It is available in 1 liter packaging only.